Laura Resau lived in the Mixtec region of Oaxaca, Mexico, for two years as an English teacher and anthropologist. She now lives with her husband, her dog, and her son Bran in Colorado, where she teaches cultural anthropology and ESL (English as a Second Language). She is also the author of What the Moon Saw and Red Glass. 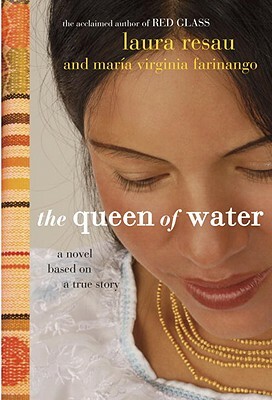 Maria Virginia Farinango has acted in a television movie, had her own radio show, performed traditional dance, run an Andean craft business, and traveled throughout Asia, Europe, and North America. She is studying psychology and has recently started a small holistic day spa in Otavalo, Ecuador, where she lives with her husband and their young son. For more about Maria Virginia, please visit lauraresau.com/virginia. "A moving, lyrical novel that will particularly resonate with teens caught between cultures." "The authors' candid narrative richly depicts Virginia's passage from a childhood filled with demoralization to a young woman who sees her life through new eyes." "This is a poignant coming-of-age novel that will expose readers to the exploitation of girls around the world whose families grow up in poverty."